Senator-elect Cindy O’Laughlin of Shelbina says the state should return to teaching students skilled trades. 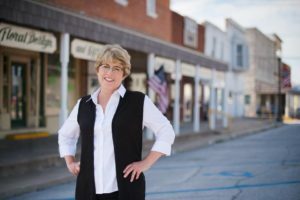 The northeast Missouri businesswoman says the federal government encouraged schools to stop offering shop classes and many complied. “Some schools are able to access vocational schools to teach some of those things like welding, carpentry, that kind of thing. But many of them are not,” O’Laughin says. She tells Missourinet affiliate KWIX in Moberly the move has hurt the state’s workforce. “We have companies all around our area that are looking to hire people and can’t find people to hire,” she says. O’Laughlin supports fellow Republican Gov. Mike Parson’s efforts to increase workforce development opportunities in Missouri. She, along with other lawmakers, plan to address the issue during the next legislative session beginning January 9. O’Laughlin replaces Republican Brian Munzlinger of Williamstown, who’s finishing his final term in the Senate.